Since founding, TK CONSULT AG has evolved into a well-known provider of integrated water management, hydraulic engineering and geothermal energy services. We specialise in the numerical modelling of groundwater and surface water, and their interactions, as well as geothermics, special hydraulics and software development. Sludge mixing optimization in a SBR using different stirrer configurations. 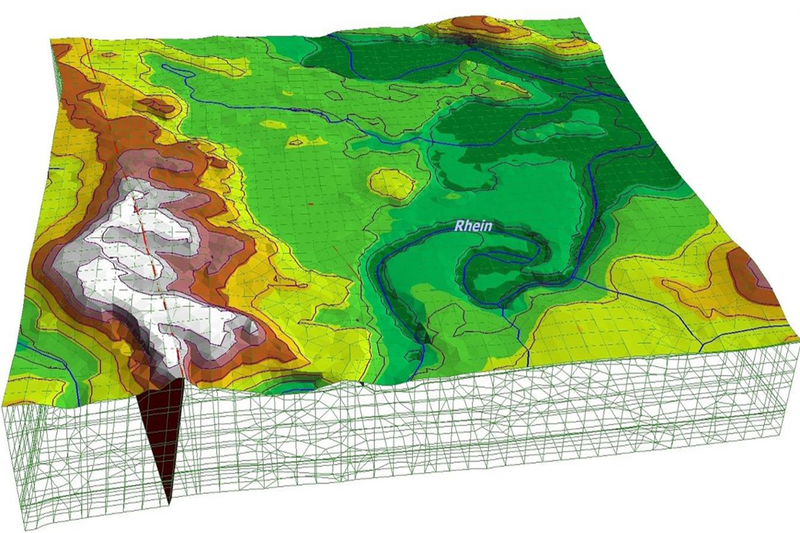 In cooperation with the WVZ and ETH Zurich, TK CONSULT AG supervised a master thesis that included the regeneration of the groundwater model Hardhof. 3D-CFD-simulations for the verification and optimization of a vortex dropshaft with two-way inflow.